Mark your calendars for the 2009 NADS Field Meeting! The Meeting will be held from 1-4 June 2009, based in Crescent City, California, organized by Peter Kerr and the rest of the dipterists (Steve Gaimari, Martin Hauser, Alessandra Rung) at the California Department of Food and Agriculture in Sacramento. Laboratory and presentation facilities will be provided by The College of the Redwoods, Del Norte campus, in Crescent City. Participants making flight arrangements are advised to fly into Arcata, CA (ACV; 1 hour south of Crescent City), Medford, Oregon (MFR; 2 hours northeast of Crescent City), or Eugene, Oregon (EUG; 4 hours north of Crescent City), then arrange for a rental car. Crescent City is approximately 6 hours north of San Francisco, California. 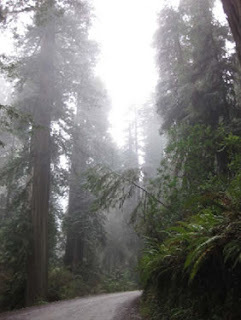 The area is surrounded by a number of protected areas including Tolowa Dunes State Park, Lake Earl State Wildlife Area, Jedediah Smith Redwoods State Park, Del Norte Coast Redwoods State Park, and Prairie Creek Redwoods State Park. Contact the organizers (below) for details about accommodations. The meeting registration fee is $20/person, and $10/accompanying person if they will be attending group functions. Please contact Peter Kerr (pkerr@cdfa.ca.gov) or Steve Gaimari (sgaimari@cdfa.ca.gov) as soon as possible if you intend to come to the Meeting, and if you would like to give a presentation on current research topics or activities involving Diptera. We hope for a lively set of presentations, as well as fantastic collecting in this beautiful part of California! More details will be given in the April issue of Fly Times, but by then time will be tight!